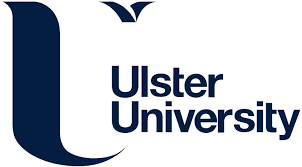 On Wednesday 23 November, the Chancellor of the Exchequer, Philip Hammond, delivers his first Autumn Statement, which is expected to have far reaching implications for the higher education and research sector. 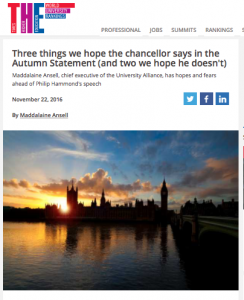 In this blog for Times Higher Education, Chief Executive Maddalaine Ansell writes about what she hopes to hear from Mr Hammond tomorrow. She calls on him to invest in innovation as well as infrastructure, increase core funding for skills and set up an Industrial Strategy Commission.